Combining the vitality of a start up with the rigors of an Ivy League education. 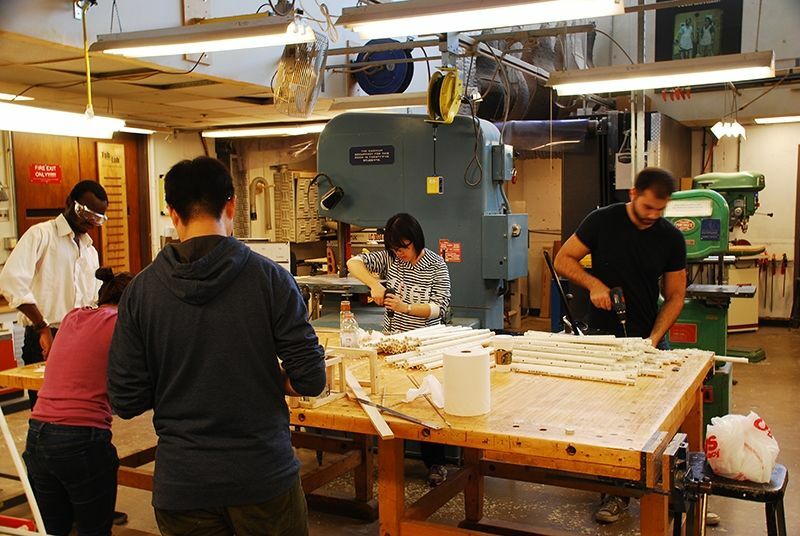 IPD students benefit from resources spread across the University of Pennsylvania as well as within the School of Engineering & Applied Sciences, the Wharton School and the School of Design. The Fab Lab is one of the main workshops for IPD students. It includes a full woodshop, worktables, a machine shop, and an expert staff. The Fab Lab also offers digital fabrication tools, including three laser cutters and two CNC mills. It’s located on the 4th floor of Meyerson in The School of Design. The objective of the Mechanical Engineering and Applied Mechanics (MEAM) Design and Prototyping Laboratories is to give our students access to the tools and resources they need during their product design training to create and experiment with ideas and inventions that enhance their educational experiences. Penn Wharton Entrepreneurship helps Penn students interested in entrepreneurship & innovation find their unique path and career. They offer students opportunities and provide resources that help students explore the world of startups, develop a venture, launch their startup and scale their company. A student run “hub of technological innovation”, Weiss offers resources for students who plan to launch innovative technologies to market. Some of their programs include Penn Vention, Penn Launch, Innovation Fund, and Innovation Week. Pennovation Center is a business incubator and laboratory that aligns and integrates researchers, innovators, and entrepreneurs for the commercialization of research discoveries. Intended to marry entrepreneurs with an expert workforce and scientifically advanced facilities, key features of the Pennovation Center are the common creative spaces, including coworking areas, a cafe, and a venue for events and programs. The Graduate Student Center encourages the development of Penn’s graduate and professional student community through academic and social initiatives. 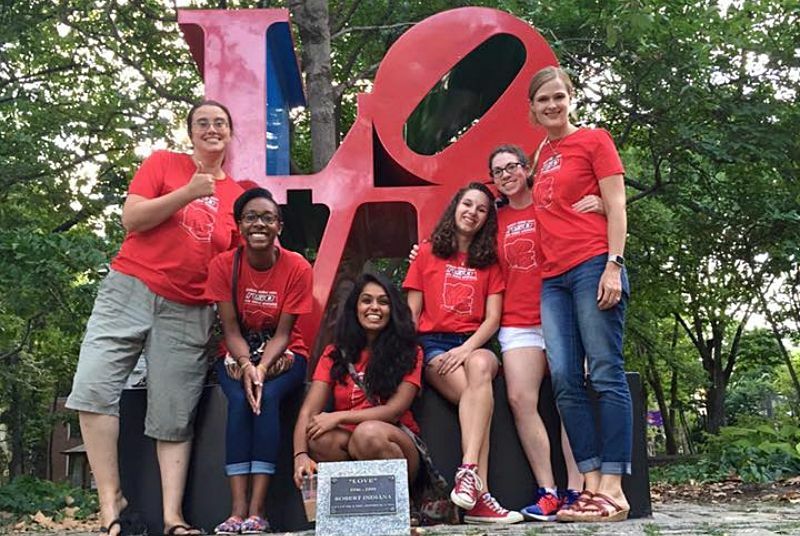 The Center empowers graduate and professional students to create and participate in a graduate community at Penn. It creates intellectual, social, and professional development programs to bring together the wide range of graduate and professional students at Penn for cross-disciplinary, cross-cultural exchanges and provides services to support graduate and professional students at Penn and in Philadelphia. Career Services helps students and alumni define their career goals and take the steps necessary to achieve them. They provide a wealth of career information online and a variety of events to prepare students for their job search and network with potential employers. 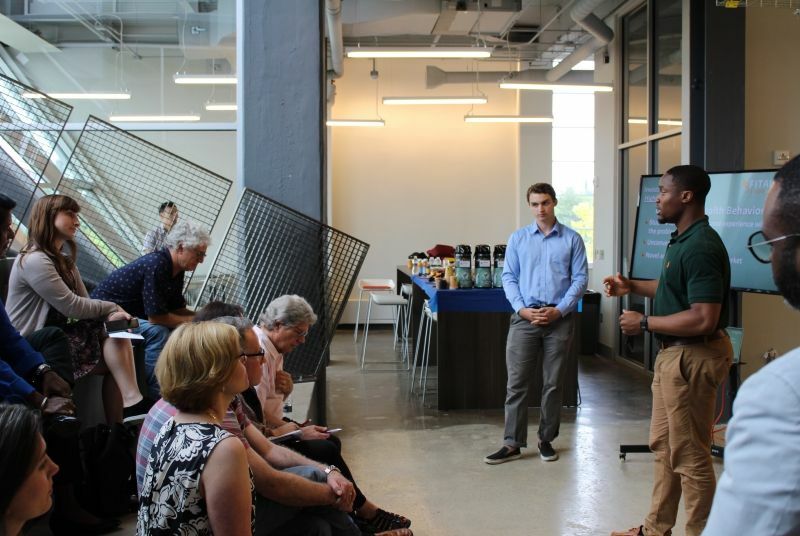 Wharton Innovation and Design Club holds workshops in empathy, ideation, prototyping, and testing. They host the Penn Design Challenge, Innovation Summit, and Healthcare Design Challenge. And they connect their members to resources that will help them pursue a career in innovation through career treks and MBACM-led sessions.